Recently I asked a neighborhood Facebook group for input on divorce topics to discuss. Some responses were very personal and I won’t discuss them here, but there was a pattern to the general questions, here they are with my answers included. There is no legal significance to who files first. The one filing is the Petitioner and the other is the respondent. There really is no benefit of winning the race to the court house. In fact, Washington State allows couples to file a “joinder”. If both parties sign, one does not have to worry about a process server or filing a response. 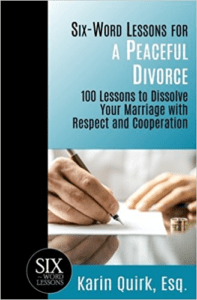 It can set the tone for a cooperative divorce. If I move out of the house, do I lose all my rights to the property? Have I abandoned” it? I am asked this quite often… Someone’s hairdresser’s friend’s cousin said that if you move out you are abandoning all rights to the property. One party moving out is often the most sane thing to do. Give everyone some cooling off time. *this does not apply if there are children. If you have minor children, consult with an attorney before moving out. My name is not on the title of the house, does that mean it belongs solely to my spouse? It does not matter whose name is on title to a house, car, bank account or boat. If it was obtained with “community funds” it is considered community property. Community funds are any money earned during the marriage. If it was obtained by gift or inheritance it MAY be separate property. 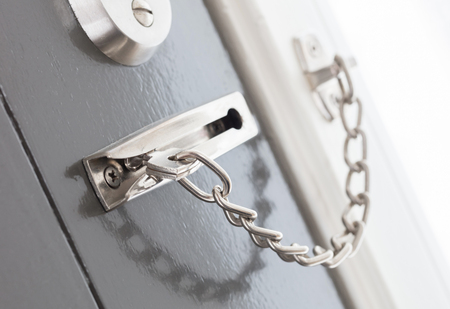 Can I change the locks on the house after my spouse moves out? If your spouse moves out you can have “exclusive use”. This does not mean you are the sole owner. Consider it similar to a landlord/tenant relationship. A landlord can’t just drop by anytime. A landlord must give notice and obtain permission to enter. Incidentally, if you are changing the locks, don’t forget the garage door opener. 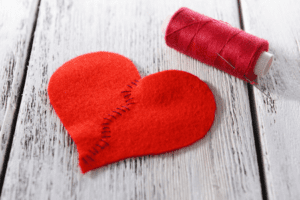 How much alimony can I get and how long can I get it? We now call it “spousal maintenance” and it is available to either party depending on circumstances. The standard is “need and ability to pay”. That is not very definitive and there is no calculator, even though your hairdresser’s friend’s cousin tells you there is. We look at how much each party earns and what the expenses are. There is also not a standard calculation for length of time support runs. The length of the marriage and either party’s age, health and circumstances are issues that are considered. This is truly a lawyer answer of “it depends”. Is it true that in a fifty parenting plan, no one has to pay child support? Not true. While the state mandated support schedule does provide for a “deviation”, the deviation is considered “discretionary”. This means it depends on the relative income of either party. If one person earns $200,000 a year and the other earns $40,000 it would not be fair to waive child support. If one party is getting spousal maintenance, that would be considered income also. Does my spouse have an interest in my business if I have an LLC, partnership or corporation? Yes. Again, there are other factors such as did you start the business before marriage? It does not matter whether your spouse ever took part in the business or did anything to make if viable. Do we have to have all the details worked out before filing? You do not. I generally advise to file the petition with most issues “to be determined”. That way the ninety day clock can start running. You can work out the parenting, support and property issues after filing. There can be circumstances where one or both of you are trying to secure financing. Then there may be reason to wait to file since the petition is public record. Your attorney and lender can work together to make sure the timing is right. What if we reconcile after I file? If both of you agree, you can file an agreed dismissal of the case. 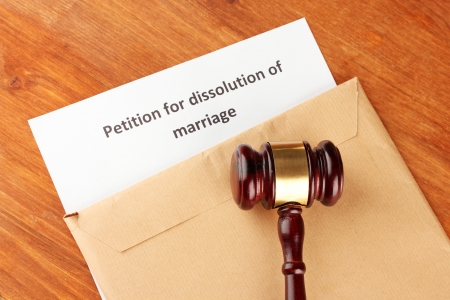 What are the grounds for divorce in Washington? Washington is a “no fault” state. That means if one party thinks the marriage is “irretrievably broken”, it is. No further information is necessary. The other party does not need to agree. If one person says it is, then the Court deems it to be so. I don’t want a divorce. Can I object? Please Contact us if you or someone you know is looking for professional and affordable legal services to help you through dissolving a marriage without drama or if you have any further questions, we’d be happy to answer them for you.